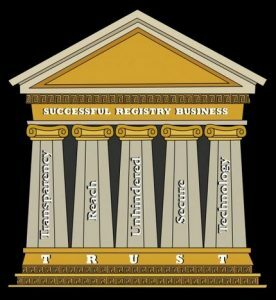 Although I am proud to work for the finest Registry Service Provider (RSP) in the world, articles and views expressed here are my own and may or may not express the views of the company I work for nor any companies I work with. This domain name, Alagna.com, is signed at the root and second level using DNSSEC. Scan for full contact info. For Events: Be democratic! Why force attendees to sit through a presentation with a subject they have no choice in? Select a few speakers from the attendees, have them pitch the audience, and let them decide. Can New gTLDs Reduce Cyber-Squatting? Cybersquatting can be reduced by the use of your own brand-type Top Level Domain. Get my free whitepaper here. © 2009-2018 – Joe Alagna – DomainNewsAndViews.com – All rights reserved. | Privacy | Contact | Terms | Disclaimer: All posts and opinions are my own.